THE High Court has become a political knackery from which few MPs return intact and Malcolm Turnbull fears it. That's why the Prime Minister has halted the flow of Coalition members to the court and the risk it will punt them on the constitutional grounds of dual citizenship. He wants Labor to see what it's like to suffer the ignominy of fronting the nation's most senior judicial panel accused of neglecting provisions of Australia's primary legal document. He has already lost a deputy prime minister, a Nationals deputy, a Senate president and a Sydney MP, and his backbenchers want the slaughter to stop. At least, among their people. His resistance has ensured the citizenship matter has become a partisan tactical battle moving further away from joint resolution. It and the chaos it creates will reappear early next year. Labor also is guilty of the same charges. It has whipped this issue into partisan advantage and further upset ordinary voters who want it settled. Neither side is in a happy place. Mr Turnbull has attempted to elevate the resignations of Barnaby Joyce and John Alexander over their bungled election nomination details to acts of integrity while Labor refuses to be as honourable. Mr Joyce this week was given a hero's return to Parliament after his New England by-election win and feted as an honourable victim of constitutional vagaries. However, the reality is Mr Joyce - like Mr Alexander - had no choice. He made a serious mistake and had to reapply for his job because he was not qualified for it in the first place. He did not take this as an honour. 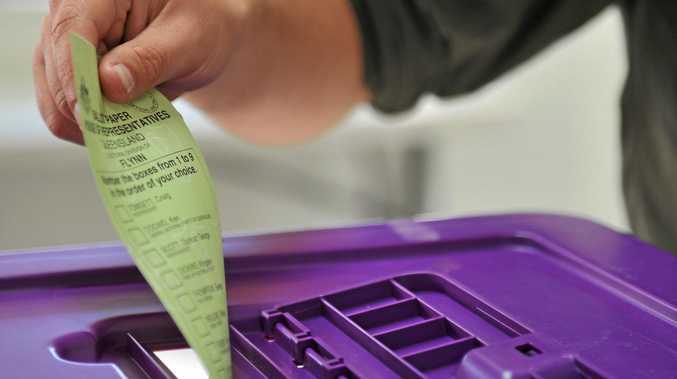 The Liberals are expected to win the December 16 by-election in Bennelong but again it has been a trial the Government could have done without. Labor this week attempted to turn its own problems into leveraging more humiliation out of Government ranks, and Mr Turnbull immediately resisted and turned the focus back on Opposition Leader Bill Shorten. The Opposition had claimed a superior system for vetting candidates, and while that might be true it was certainly not foolproof. The boast was relegated as Labor proposed to refer four of its own to the High Court - Susan Lamb, David Feeney, Justine Keay, Jason Wilson - if the Liberals sent four of their own - Julia Banks, Alex Hawke, Nola Marino, Jason Falinski. They would join Xenophon Team's Rebekha Sharkie who also has citizenship questions to answer, and Labor senator Katy Gallagher. The offer was immediately rejected by the Government and the Prime Minister ramped up his demands that Labor unilaterally send its people to High Court examination. The cross bench in the House of Representatives sided with Labor and called for all sides to end the disruption as quickly as possible. Bob Katter, in a rare bout of fluency, summed up the feelings of many voters: "I just want this to stop." And so do Government backbenchers. The departure of senior Coalition members has intensified antagonisms between Liberals and Nationals, and the Government troops want an end. 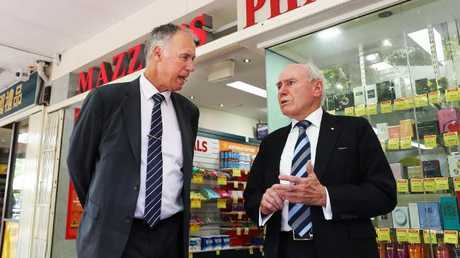 Former Prime Minister John Howard campaigns with Liberal candidate John Alexander. Picture: John Feder/The Australian. It's a familiar sensation for Liberals with long memories. In 1996 John Howard came to office with a tough ministerial code of conduct and a determination to enforce it. The result was that between October 1996 and September 1997 the Howard government lost six ministers. Three went for conflicts of interest related to their business investments - Jim Short, Brian Gibson and Geoff Prosser. A further three ministers went after problems were found with their travel expenses - David Jull, John Sharp and Peter McGauran. Angry Coalition backbenchers began telling the Prime Minister's office they hadn't been elected to sack their own people. The target should be Labor. John Howard heeded the messages. Malcolm Turnbull has also read the mood of colleagues in 2017. He does not want citizenship to spoil the political advantage gained from uproar over indiscretions by Labor's Sam Dastyari, and an anticipated Bennelong victory. However, Mr Turnbull and Mr Shorten will have to deal with the issue early next year, like it or not. It is possible Mr Feeney at least will be punted by the High Court, and should Senator Gallagher go she will be followed by others on both sides with similar questions over citizenship. And the hostility of voters will not disappear over the Christmas break.